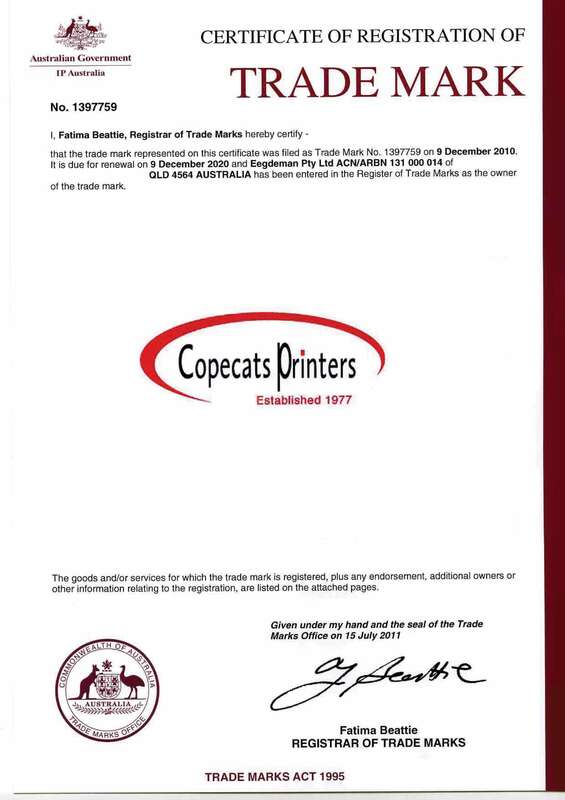 Copecats Printers is the only registered company with a trademark for the name Copecats Printers or pronounced like Copycats. Experience and Expertise - we are printers with the experience and expertise to get it right, first time, every time! Copecats Printers is a member of Suncoast Business Network, we have weekly meetings in Wombey. Read Our Terms & Conditions, policies and legal information.